Bed bug infestations are something no landlord or tenant ever wants to have to deal with. They bite, their tiny, and their tough to completely exterminate – thriving on blood, bed bugs can live up to a year without feeding. How are Bed Bugs Removed/Exterminated? Who’s Responsible for Getting Rid of Bed Bugs? As a general rule, the landlord is required to maintain a habitable rental unit for the tenant. Bed bugs can come from neighboring tenants, previous tenants, and even the current tenant. So unless the landlord can reasonably argue that the current tenant is the source of the bed bugs, the landlord would have to coordinate the removal of bed bugs. After the initial round of treatment, the rental property should be inspected again. In most instances, there should be no need to relocate tenants. The landlord would cover the cost of the exterminator and any unit improvements, but the tenant would typically be responsible for laundering and cleaning. There are only five states that have legislation specifically addressing bedbugs in rental property (Arizona, California, Florida, Nebraska, and New Hampshire). For all other states, it’s common for the person/entity responsible for the source of the infestation to take care of the problem. A landlord may not knowingly rent a unit to a tenant that has a bedbug infestation. Tenants may not knowingly bring materials that have been infested with bed bugs into a rental unit. Landlords must provide tenants with educational materials related to bed bugs. Beds in apartments and hotels that supply beds and bedding to renters must ensure that all bedding is clean and free of bed bugs. Linens must be changed before a new occupier occupies the unit. Hotel bedding must be changed before each new guest arrives. Requires landlords to make reasonable provisions for the extermination of bed bugs in rental property. Requires boarding homes to be constructed and equipped to prevent bedbug and pest infestations. Allows exterminators to be used to eradicate pests when necessary. It is a violation for a landlord to willfully fail to investigate or fail to take reasonable measures to remediate an infestation within 7 days (contempt and contempt damages). Landlords are required to pay up-front for all bed bug remediation costs. Landlords may recover costs for remediation in the tenant’s unit only, and only if tenant is considered “responsible” for the infestation. 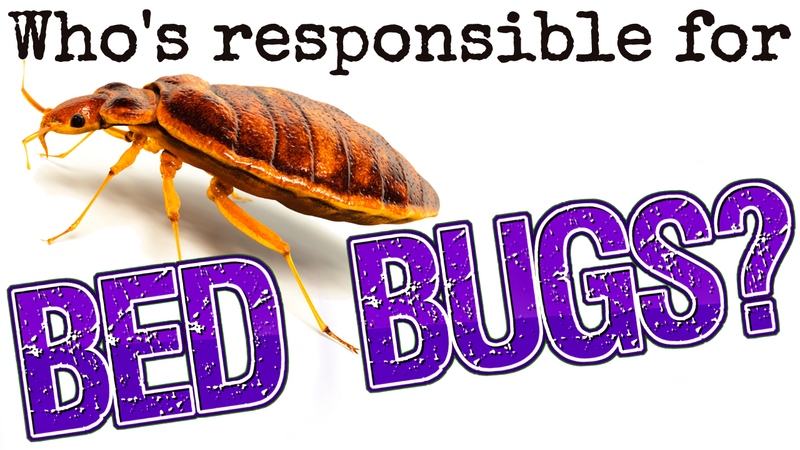 The tenant is presumed to be “responsible” if only his/her unit has bed bugs and there have no other bed bug reports in the unit or adjacent units in previous six (6) months.